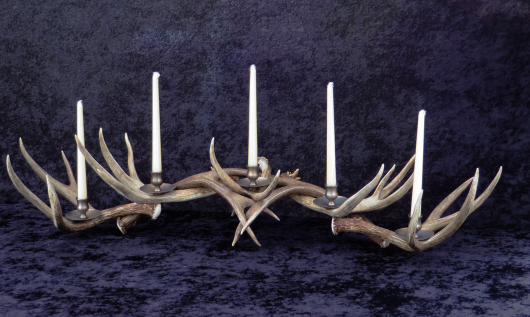 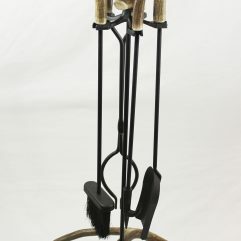 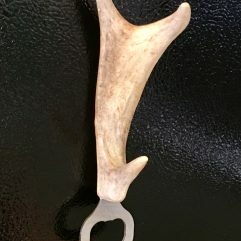 This custom- made candle holder features seven mule deer antlers. 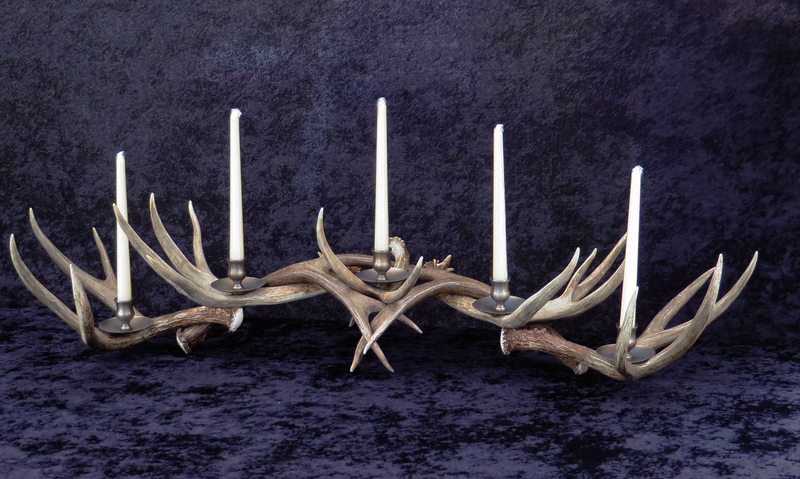 Five taper candles are supported by the antlers in brushed brass holders that catch drips. 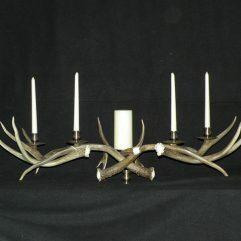 A beautiful addition to any dining or entry-way table. 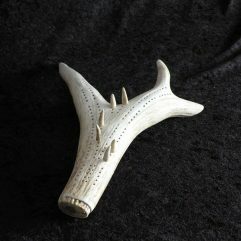 Price includes shipping to any continental US address.